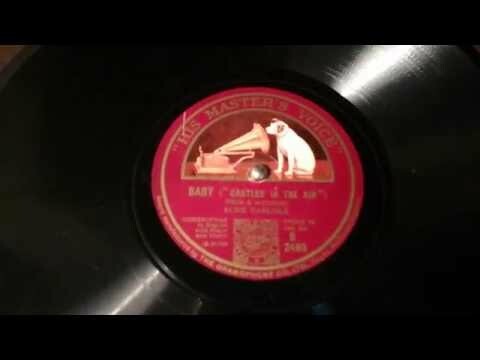 “Baby.” Words by Raymond W. Peck and music by Percy Wenrich (1922); featured in the Broadway musical Castles in the Air (1926). 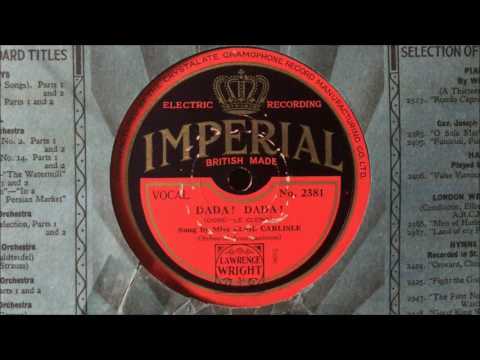 Recorded by Elsie Carlisle, accompanied by Carroll Gibbons and an unidentified violinist, on April 5, 1927. HMV B2489. 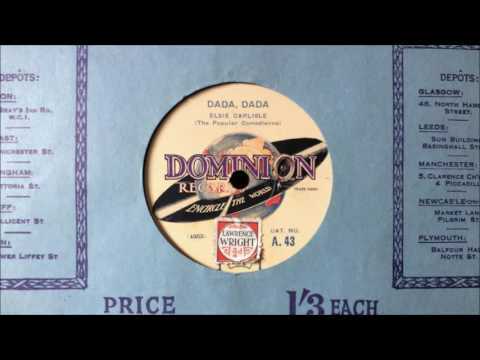 “Baby” was recorded in America in 1926 by Roger Wolfe Kahn and His Orchestra (with vocals by Billy Jones) and by Virginia Rea and Franklyn Baur (accompanied by the Brunswick Hour Orchestra). In 1927 it was recorded in Britain by Jack Hylton and His Orchestra twice (directed the first time by Chappie d’Amato, as Jack Hylton had been injured in a car accident, in a session whose output was rejected by HMV, and the second time by Jack Hylton himself). It was also recorded by the Debroy Somers Band (with vocalist Bobby Sanders), Hal Christie’s Dance Orchestra (directed by Bert Firman), Victor Sterling and His Band, the Raymond Dance Band (directed by Stan Greening), Alfredo’s Band (with singer Peter Bernard), Will Hurst’s Band (with vocals by Maurice Elwin), and the Savoy Orpheans (directed by Carroll Gibbons, in a selection from Castles in the Air).